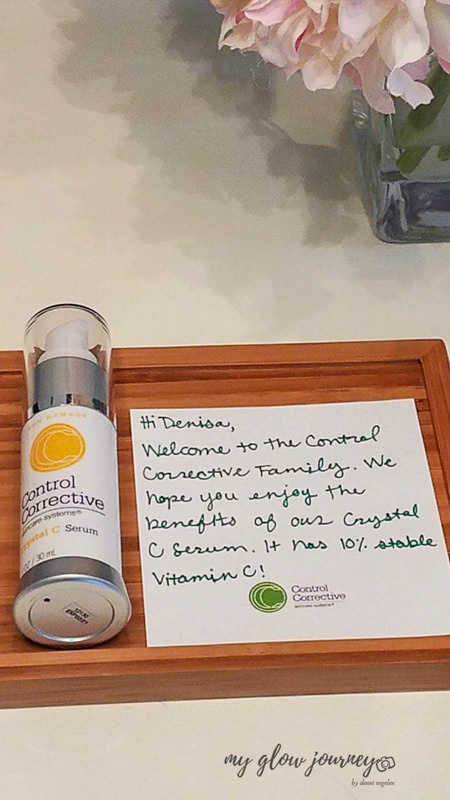 About nine weeks ago I got the opportunity to try one of most beloved Control Corrective products, their Crystal C Serum and today I am ready to review it! 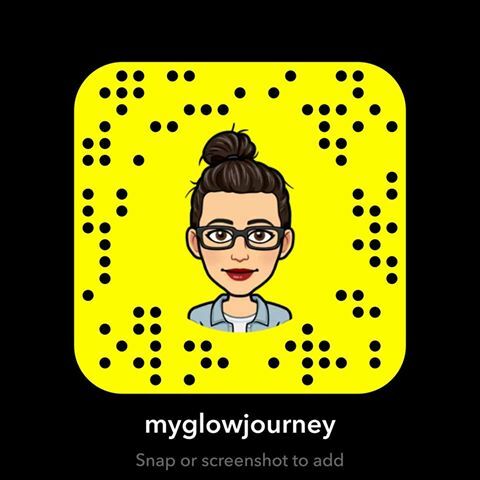 If you are new to my blog, hi I’m Denni, I am forty-four years old, my skin type is dry to dehydrated I deal with hyperpigmentation, sun damage and melasma, this blog is my journey to glowing skin and I am addicted to vitamin C and retinol. 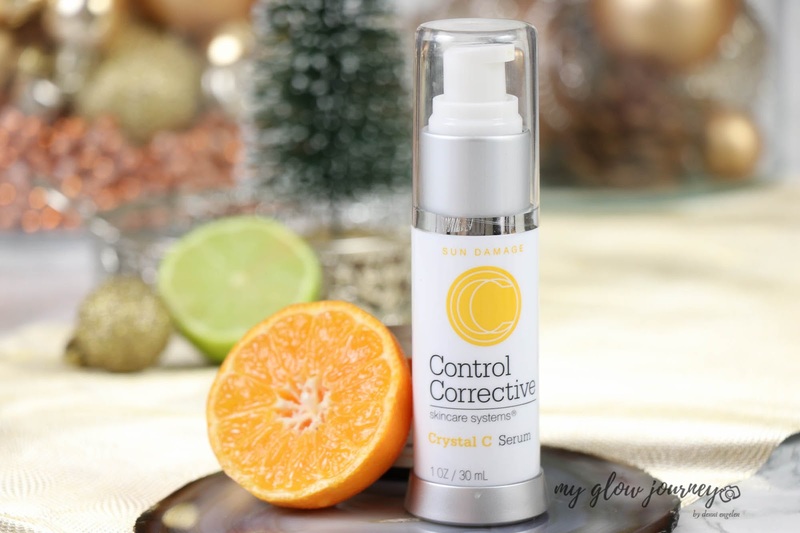 If you are new to the brand, Control Corrective Skincare Systems is a spa brand, created by Ellen Clark a licensed aesthetician & successful spa owner and they are all about skin transformation. 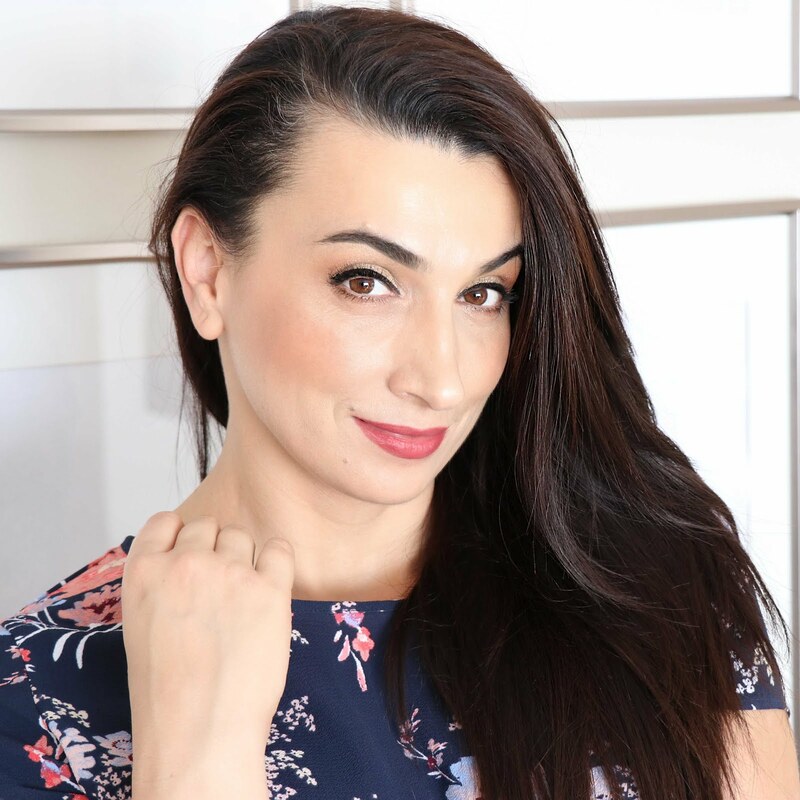 They aim to deliver clinical skincare results in an accessible way; their active ingredients are extensively researched for true potency and results. Control Corrective Skincare Systems comply with GMP (Good Manufacturing Practice ) standards, their range is entirely cruelty, and paraben-free. Crystal C Serum and it contains 10% of Sodium Ascorbyl Phosphate. Sodium Ascorbyl Phosphate is a water-soluble form of vitamin C that is potentially effective for brightening an uneven skin tone and also functions as an antioxidant. 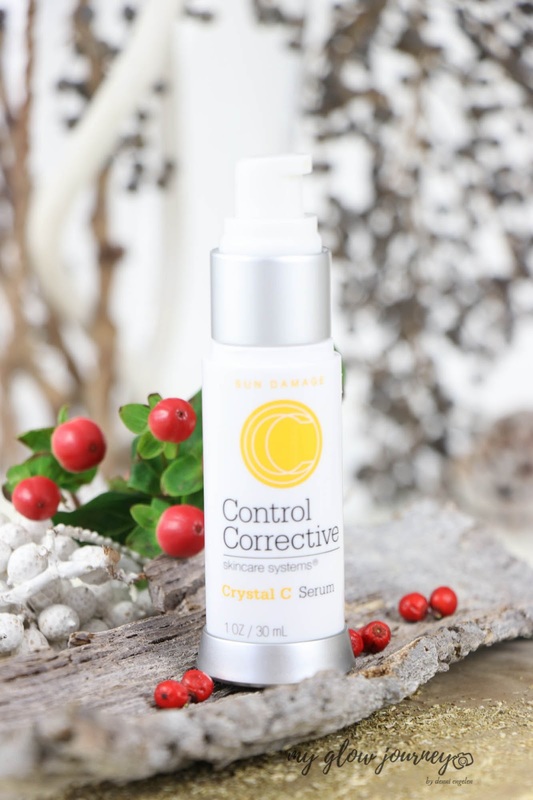 Control Corrective Crystal C Serum is meant to be a hydrating, "daily vitamin dose” of vitamin C, natural botanical extracts and aloe-vera designed to firm up and even out complexions to brighten sun-damaged and aged skin. The Crystal C Serum delivers anti-inflammatory and antioxidant ingredients to restore tissue beneath the skin. Helps fight the signs of ageing as it brightens and hydrates the complexion. An infusion of natural botanical extracts is included to aid in calming and balancing dehydrating skin. 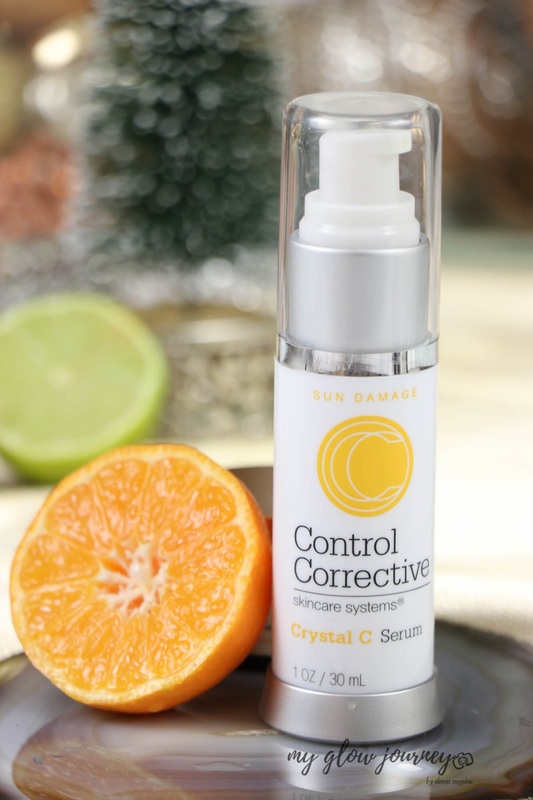 First thing I like it about Control Corrective Crystal C Serum is that it comes in an opaque bottle and it has a pump. Is a stable formula I know, but vitamin C tends to hold up better in tubes and pump bottles. Proper skin care is not cheap, and i prefer to enjoy my products to the very last drop versus having my skincare actives diminished by the contact with air, light etc. A little goes a long way I only need a pump to cover my face, two if I want to apply it also on my neck and decolletage. I used Control Corrective Crystal C Serum for the past nine weeks or so, and I can say I am very pleased with it. For me, vitamin c serums are hit or miss, either they make my skin look great, or they break me out like I'm a thirteen years old living out of chocolate and fast food. I haven't experienced any breakouts or irritation from Crystal C Serum. Potent yet gentle enough I found myself reaching for it all the time, even though I have a few other vitamin C in my skincare cupboard. 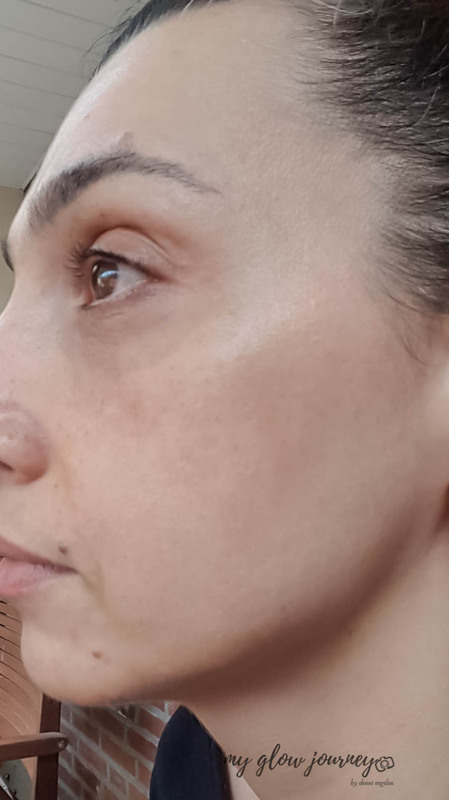 Crystal C Serum delivers its promises, it makes my skin glowy and plump, and much to my delight I noticed a few of my lighter sun spots vanishing away which encourages me to try another bottle when this one is finished (opaque bottle there is no way to say how much I have left ). Have you ever tried anything from Control Corrective Skincare Systems? 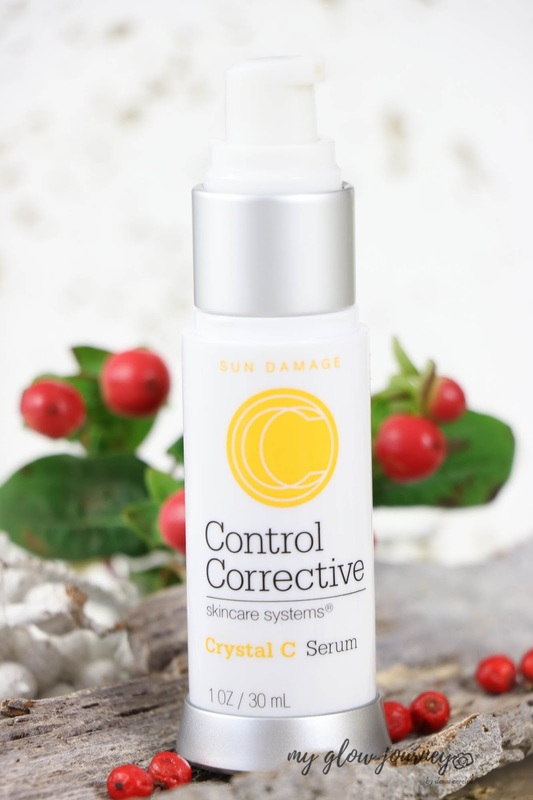 The Crystal C Serum has been sent to me by Control Corrective Skincare Systems and Octoly, this post isn't sponsored.